Welcome to "The Land of Enchantment!" This year's ride is all about New Mexico (plus a little of Arizona, Southern Utah and, grudgingly, Texas). This is the land of Billy the Kid, Georgia O'Keeffe and J.Robert Oppenheimer. It is the state that ushered in the Atomic Age. From sweeping desert vistas to painted mesas and majestic mountains, from the whimsical aliens of Roswell to the caverns of Carlsbad there is something for everyone. So, what is it like to ride in New Mexico in June? First, it will be warm and it will be cool. Much of the ride is in a high desert environment. Average high temperatures for June range from the mid-60s to the mid-90s depending on where you are in New Mexico. Elevation for the ride will range from over 8,000 feet near Angel Fire to 2,800 feet around Carlsbad and the temperature will range accordingly. Layering clothing is highly recommended and you may want to consider ventilated riding gear with removable linings. The temperature drops quickly after sundown and at higher elevations a warm jacket may be required. There isn’t much rain during this time of year, and it’s usually short-lived thundershowers. Given the dry climate, it doesn’t take long to dry out again while riding. So bring rain gear if you like, but you may never use it. Previous Long Reach Long Rides have featured roads with names like “Tail of the Dragon” and “The Snake,” which are famous for scores of challenging tight turns and uniformly green scenery--trees to the left, trees to the right and trees to the left again. That’s not to say they are not beautiful roads, because they are—but that’s not New Mexico. There will be challenging, twisting roads aplenty, but New Mexico is about variety. There are grand, sweeping turns along the base of the mountains, unrelentingly straight roads dropping down into massive valleys populated with painted mesas and ancient volcanoes, followed by convoluted, twisting roads in the arroyos and pine covered ridge back roads with 1,000 foot drop offs on either side. Except for a short section between Las Vegas (the other one) and Santa Fe, the entire “Radioactive Ride” is on two-lane roads. The riders gather in Las Cruces for the traditional meet-and-greet. Those renting rides will find an Eaglerider in nearby El Paso. Las Cruces to the small town of Gila (population 350). The route follows Hwy 185 and 152 to Silver City, then Hwy 180 to 211 and Gila. 166 Miles for the day. Dinner at Casa de Mayer. Lodging in this small town is problematic, so the riders will be distributed among several unique guest houses, including: Bear Paw Ranch http://www.bearpawranchrentals.com/ and The Double E Ranch http://www.doubleeranch.com/ and a few other interesting places in and around Gila. Prepare for an adventure! Gila to Holbrook, AZ. We start on Hwy 180, stop for lunch in Alpine, then it's Hwy 191 to St. Johns, Hwy 180 to the Petrified Forest National Park. Then we hit the I-40 for a brief ride to Holbrook and the Wigwam Motel. 239 Miles for the day. Holbrook, AZ to Bluff, UT. We head up Hwy 77 to Indian Rte 15 and meet Hwy 191 again to Canyon de Chelly. 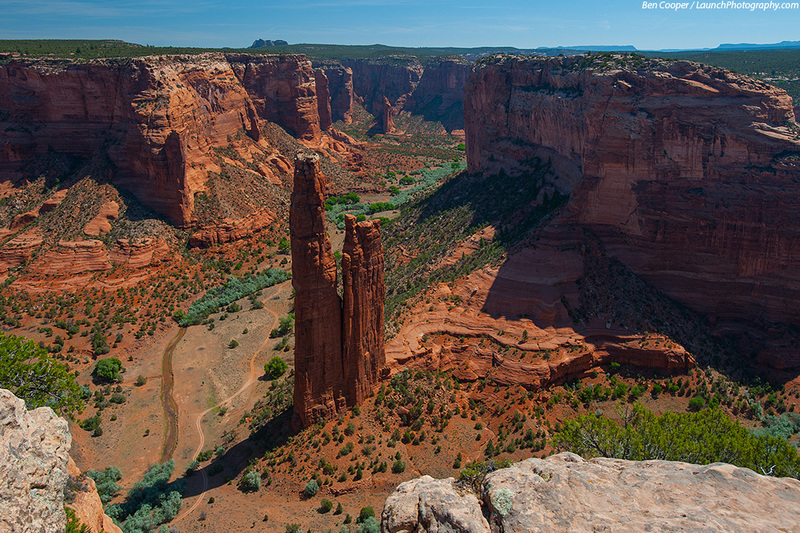 After visiting Canyon de Chelly, it's up to Many Farms and Navaho Service Rte 59 to Kayenta. From Kayenta we take Hwy 163, entering Monument Valley for a late lunch at Gouldings Inn. We continue through Monument Valley after lunch and head to Bluff and the Desert Rose Inn http://www.desertroseinn.com/. 268 Miles for the day. Bluff, UT to Santa Fe, NM. This is a longer day. We start early out of Bluff and make for Four Corners via Hwy 41 and 160 for a traditional group photo with riders in all four states. Then it's down Hwy 160 to Hwy 64, passing Shiprock on our way to Chama for lunch. After lunch we take Hwy 84 south to Santa Fe, with a stop by the renowned Santa Fe Opera. 330 Miles for the day. Santa Fe, back to Santa Fe. The day starts with a visit to Los Alamos, site of the laboratory that developed The Bomb. After a visit to the museum, we head out on Hwy 68 for Taos to start our circle around the highest peak in New Mexico--Wheeler Peak. There will be some beautiful and challenging roads as we run through Questa, Red River, Eagle Nest and Angel Fire. At Mora we catch the most challenging road of the ride, SR 94, and then 518 into Las Vegas (the other one). One more hour on I-25 and we are back in Santa Fe. Then it's a meet-and-greet with Local 480 on the Plaza. 296 Miles for the day. Santa Fe to Cloudcroft. The day begins with a visit to the village of Madrid, where "Wild Hogs" was filmed. Then it's a dash across the dry plains to Corona for lunch. Carrizozo, Oscuro, Three Rivers, Tularosa then Cloudcroft and The Lodge. http://www.thelodgeresort.com/ Dinner at the Western Bar. 277 Miles for the day. Cloudcroft to Carlsbad. It's just a short 2 hour ride to Carlsbad, where after check-in at the hotel, a visit to the spectacular caverns is in order. Stay for the "Leaving of the Bats" at dusk, then it's only 30 minutes back to the hotel. 126 Miles for the day--176 miles after visiting the caverns. Heading off into the sunset: Carlsbad to Las Cruces by way of Roswell, the famous alien site. Lunch in Ruidoso, then we slip by White Sands National Monument on the way to the Organ Mountains. For those returning bikes to Eaglerider, turn left at I-25. We will say our goodbyes in Las Cruces with the traditional pizza dinner. 207 miles for the day. And so ends the 2016 LRLR "Radioactive Ride>"